This 50-minute dance cardio DVD includes sequences that are unlike anything you will find in Metamorphosis — they will further strengthen your mind and body connection and torch calories. In addition to a full tutorial with breakdown sessions of each dance, this program includes options to do all of the dances from beginning to end, following along from the front or the back. 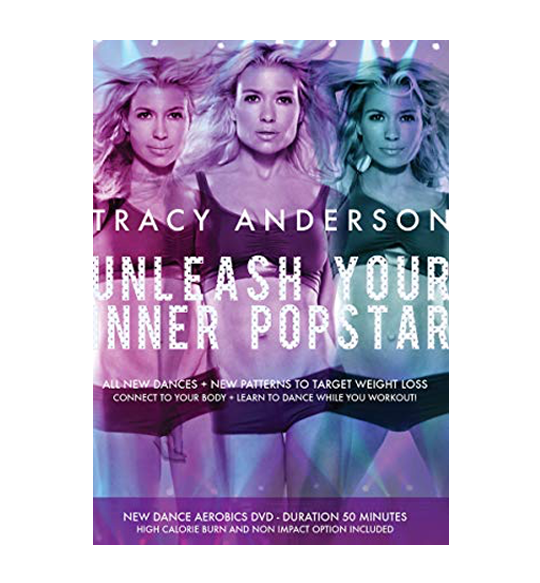 • FULL DANCE VIEW FROM THE FRONT (30 MIN) — Here you will experience a full 30 minute dance cardio workout with Tracy performing the choreography in a non-stop pace facing the camera. • FULL DANCE VIEW FROM THE BACK (30 MIN) — Here you will experience a full 30 minute dance cardio workout with Tracy performing the choreography in a non-stop pace facing away from the camera for an easy to follow view. • DANCE COMBINATIONS 1 – 5 (10 MIN EACH) — In this segment Tracy will break down and teach each dance demonstrating the different patterns and choreography giving you the tools needed to perform the dances for a full cardio workout.